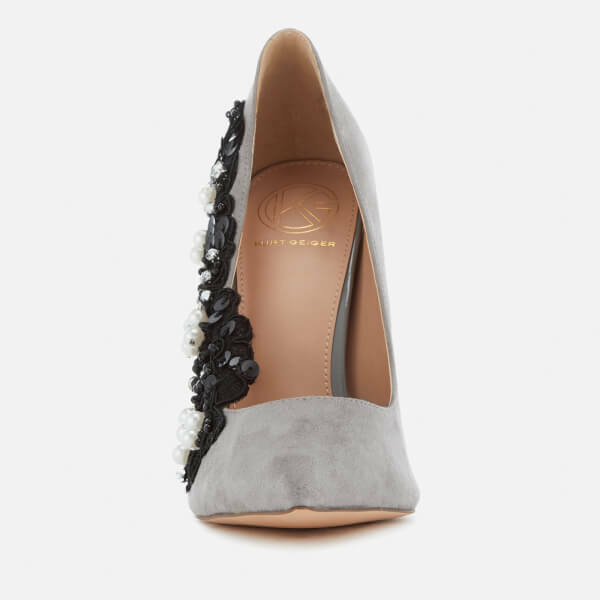 Women’s grey suede court shoes from KG Kurt Geiger. Crafted with smooth suede uppers, the ‘Bounty’ heels are decorated with sequin and pearl embellishment to one side and a pointed toe. Complete with a high stiletto heel, a cushioned footbed with signature Kurt Geiger branding and a logo engraved plaque to the sole.